Latis - Smart Notifications. Engage your users on the right device, at the right time. Intelligently route, manage, and track your app's notifications. Latis makes your notification services work together. 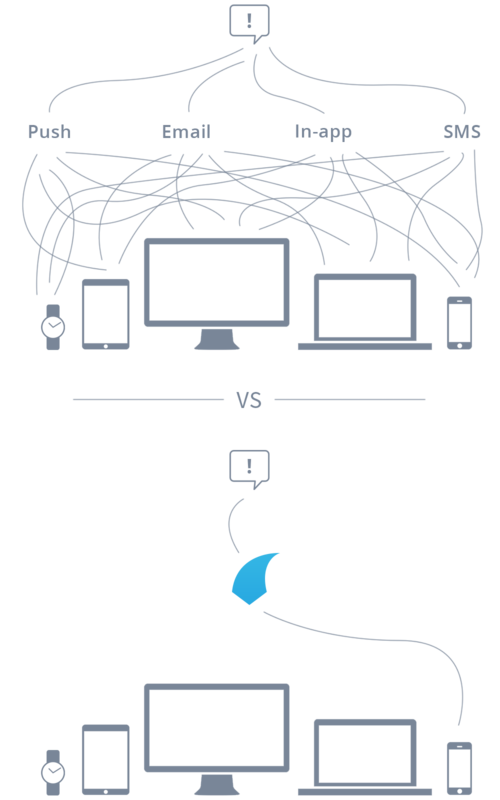 Automatically choose the best device, service, and time to engage your users. One Dashboard. All Your Services. 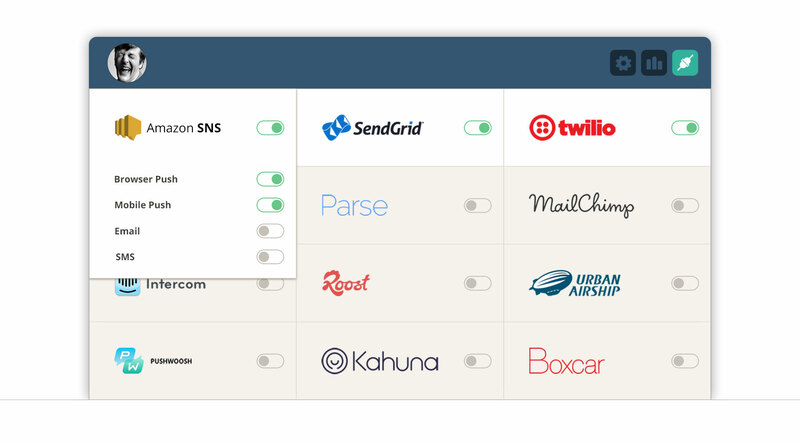 Latis makes integration with your notification services as simple as flicking a switch. Our device awareness knows which device to send your notifications to based on your user's activity and behaviour. Notifications come in many forms. Whether in-app, push, email, or SMS. We allow you to choose how different notifications are sent. No more tightly integrated dependencies, writing notification routing logic and manually synchronising notification counts. The cross-platform syncing of notification counts in-app, on app badges, and in notification centres is tricky business. Our SDK just takes care of it for you with zero code required. Receiving notifications directly inside your app requires UI components, handling logic, and an entire socket infrastructure. It's your lucky day: we've gone ahead and taken care of it for you. We keep Latis simple: We only have one endpoint for sending messages. The only one that makes sense. We send out batches of invites periodically. We're solving a hard problem that benefits users, developers, and companies. If you like what we're doing please share us. The more support we have the faster we can move. If you're a developer we're hiring positions for Infrastructure, iOS and Android.